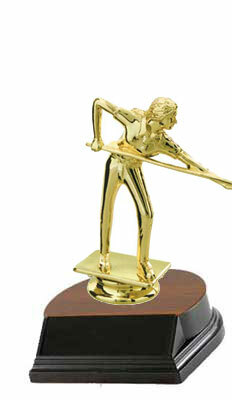 Are you looking for an economical Billiard Trophy or Pool Trophy? 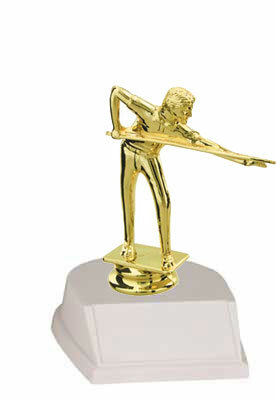 We offer a small trophy, with just the pool figure and base. The trophy comes with 40 characters of free engraving. Click the link below to see the small pool trophy options available. We offer reasonable shipping and turn around time.